The 50,000 square foot addition continues to move forward and is nearing completion. The windows, lights, doors, and site are nearing completion thanks to the help of the entire team. Curbs, asphalt, and landscaping are beginning very soon and the final vision nears completion. As the shell project nears completion at Plastikon, a new phase has begun. 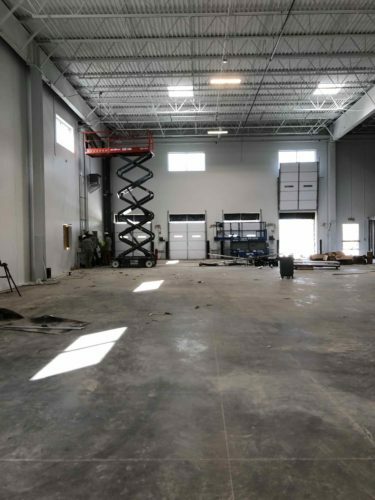 Tenant 1 buildout, a 10,000 sq. foot state-of-the-art injection molding lab is underway. The project has three suites under construction in a feverish pace to be completed by the end of the year. This project is a constant reminder of the importance of teamwork. Thanks to everyone working on this fantastic project located in Lawrence, Kansas.